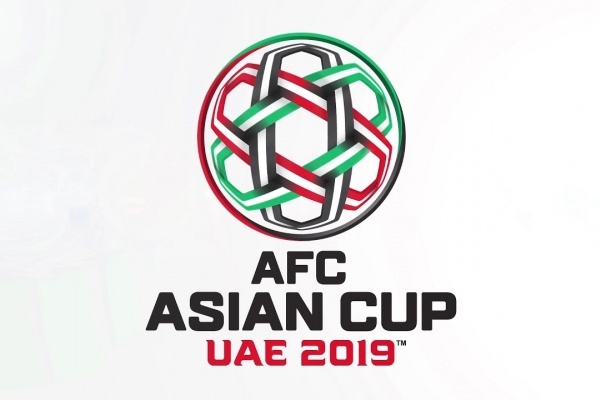 Several Asian sides will be looking to improve their FIFA Rank with the draw date for the 2019 AFC Asian Cup finals fast approaching. The Asian Football Confederation had announced that April's FIFA ranking would be used to see the teams ahead of the draw. 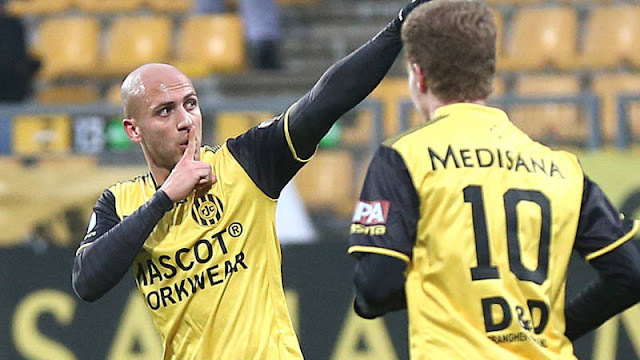 The draw procedure for the expanded 24-team tournament will organize teams into four pots. The five strongest sides in Asia will be placed in Pot 1, alongside the hosts, United Arab Emirates. The decision to combine World Cup and Asian Cup qualifying will inadvertently harm teams that advanced to the final stage of World Cup qualifying- by denying them a chance to significantly add to their point totals this month. 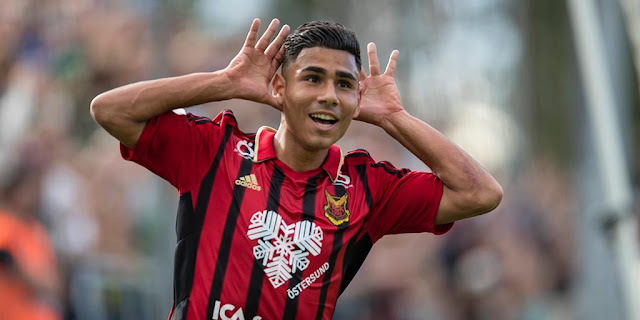 Thailand, who surprisingly topped their qualifying group in Round 2, were amongst 12 teams to advance to the competition without playing stand-alone qualifiers. Their inability to win any of their qualifiers (2 draws, 8 losses) means they be placed in Pot 4. Iraq and Syria are also set to miss out on Pot 1 status for similar reasons. 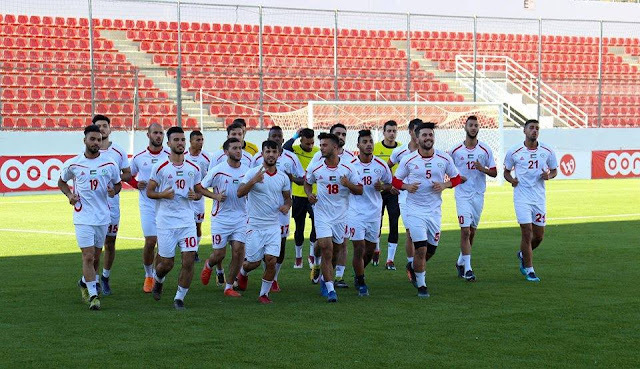 With a perfect record in 2017 (7 straight wins) and an unbeaten streak that stretches to March 2016, Palestine is one of two teams hoping to sneak into Pot 1. Saudi Arabia's disastrous decision to list their friendly against Iraq last month as an official fixture will cost them dearly when March's FIFA rankings are published next week. Their point total as a result of the friendly will slip from 522 to 494- allowing China to leapfrog them into Pot 1. Perhaps realizing this, Saudi Arabia's March friendlies no longer appear on FIFA's website. Hosts UAE, Iran, Australia, Japan, and Korea Republic are assured of their Pot 1 Status- leaving one spot open for one of China, Saudi Arabia, and Palestine. Palestine only need to beat Oman to be assured of a spot in the first Pot 1. Should they beat Oman in Muscat their point total in the FIFA Ranking will be ~529 points. Saudi Arabia will continue their fall in the rankings and will be rooting for the results of matches being contested by China (vs. Wales & Uruguay/Czech Republic), Uzbekistan (vs. Morocco), and Palestine to go their way. Palestine, Saudi Arabia, and China can fall no lower than Pot 2. 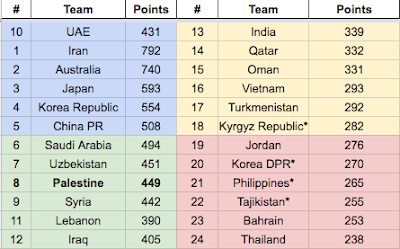 The only team that can leapfrog the current pack is Oman with a win over Palestine and some results (Lebanon losing their last qualifier vs. Malaysia or Uzbekistan losing to Morocco) going their way. 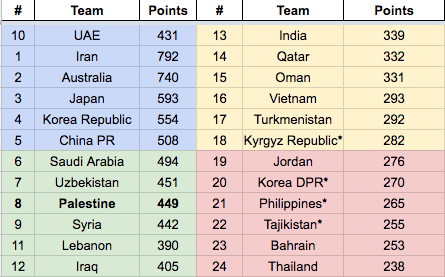 India, Qatar, and Oman are likely to stay here but the bottom three teams in the pot could fall into Pot 4, or in the case of Kyrgyz Republic, fail to qualify. 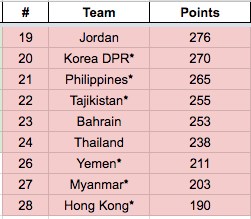 Keep an eye on Jordan vs. Vietnam with both teams vying to top the group and clinch a position in Pot 3. Should Myanmar or Hong Kong beat the odds and qualify they will enter the draw as a Pot 4 team. Thailand and Yemen are also anchored to the bottom of the ranking. Philippines and Korea DPR will qualify with just a draw on Match Day 6. That said, both will need to win if they are to have any hope of improving their seeding.